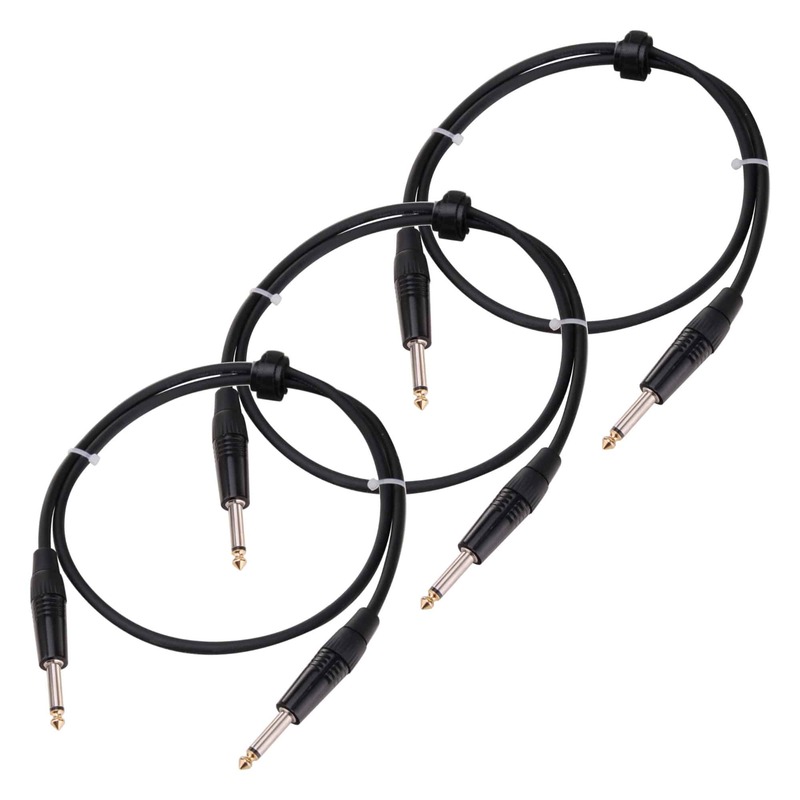 3-piece set professional guitar/instrument cable that is ideal as a connecting cable between the effect machines, etc. Professional guitar / instrument cable that is ideal as a connection cable between effects devices, etc. Pronomic Pro-Line cables stand for clean audio transmission and long-lasting components. The high-quality connectors and flexible yet strong outer sheath are the perfect match for the stage and won't let you down in even the most challenging situations. Only oxygen-free copper is used in the production of the Pro-Line cable. This provides long-lasting, dependable quality and protects against corrosion. The connectors are hand-soldered and provide chuck type strain relief so that the solder joints are free from force. A high-density copper shield effectively protects the audio signal from impact sound and electromagnetic radiation, such as that generated by power cords and cables. We are also environmentally conscious and taken steps to ensure the packaging is free from plastics and comes from a low-emission production. 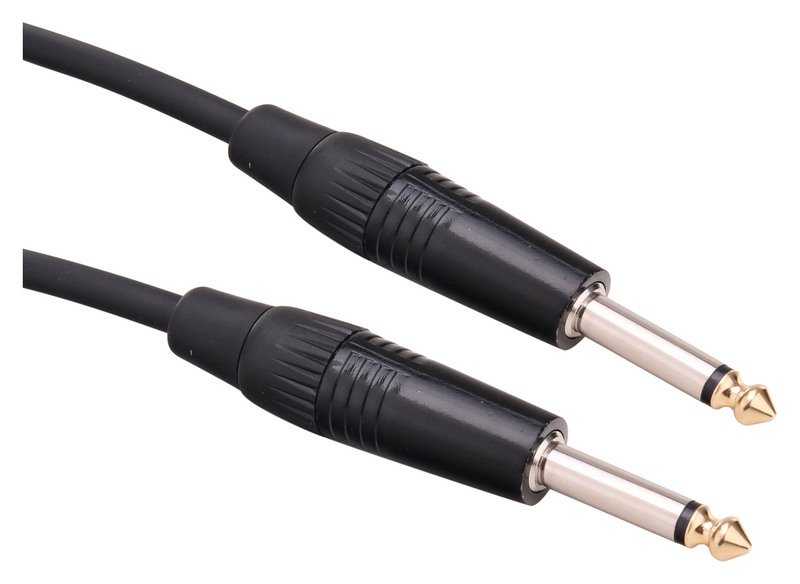 Stage INST cables are professional patch cables with high-quality, angled plugs and plated tips. Thus, a low conductor capacitance and audio transmission is ensured. 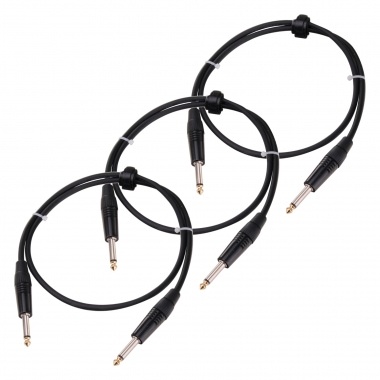 These .5 m cables are recommended for connecting several effects machines or for the installation of effect or pedal boards.